John O'Rourke & Associates and the O'Rourke Real Estate Team have been helping San Diego home sellers and buyers succeed in real estate for almost (2) full decades. 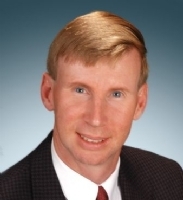 As your trusted adviser, John is a valuable real estate consultant who will make your real estate dreams come true. His foremost goal throughout his real estate career is to create profitable deals for his clients when representing them with home sales and purchases while skillfully and confidently guiding them through the entire process. John is an unparalleled negotiator who has acquired his California Broker's License which is the highest designation in real estate. His profound knowledge of all aspects of real estate will help ensure your real estate success whether you are selling a home, buying a home, or both. He is a gifted deal maker who creates positive outcomes for his clients and consistently exceeds their expectations. JoAnne is an integral part of the O'Rourke Real Estate team who embraces her clients' goals and objectives when helping them sell and buy homes. She is a gifted decorator and naturally talented home staging consultant whose talents will help you sell your home for top dollar! She is a wonderful listener with a congenial personality, which coupled with her innate business acumen, is a winning formula with her clients. The O'Rourke's combined skills will position you for a high level of real estate success as they have proven time and time again through recent decades. Their goal is to make every transaction both an enjoyable and successful one for you, and to become your realtors for life! Call us anytime...and "Expect Success"! !